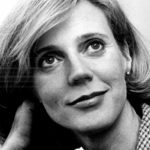 Blythe Danner is an American actress. She won two Prime time Emmy Awards for Best Supporting Actress in a Drama Series for her role as Izzy Huffstodt on Huff (2004–2006), and a Tony Award for Best Featured Actress in a Play for her performance in Butterflies Are Free (1969–1972). Danner was nominated for two Prime time Emmy Awards for Outstanding Guest Actress in a Comedy Series for portraying Marilyn Truman on Will & Grace (2001–2006), and the Prime time Emmy Award for Outstanding Lead Actress in a Miniseries or a Movie for her roles in We Were the Mulvaneys (2002) and Back When We Were Grownups (2004). For the latter, she was also nominated for the Golden Globe Award for Best Actress – Miniseries or Television Film. "I’ve always just adored music. It’s my first love, really. I admire and respect people in the music business. You really have to work hard and diligently. Sometimes actors can be lazy and get away with it, but you can’t do that if you’re a musician."